Multimedia powerhouse Tyler Perry steps into the character of Madea for her very last movie when Tyler Perry's a Madea Family Funeral arrives on Digital May 21 and on Blu-ray™ Combo Pack (plus DVD and Digital), DVD, and On Demand June 4 from Lionsgate. Written, directed, produced by, and starring Tyler Perry (Boo 2! A Madea Halloween, Boo! A Madea Halloween, Vice), the film celebrates this beloved character and film franchise by shining a light on Madea in her final big-screen performance! Starring alongside Perry in this hilarious farewell film are Madea's BFFs and fan faves Patrice Lovely (Boo 2! A Madea Halloween, Boo! A Madea Halloween, TV's Love Thy Neighbor) and Cassi Davis (TV's The Paynes, Boo 2! A Madea Halloween, Boo! A Madea Halloween)....also appearing for the first time is Tyler Perry's new, off-the-wall character, Madea's brother, Heathrow. Bring home Tyler Perry's A Madea Family Funeral and enjoy hilarious, never-before-seen outtakes, deleted scenes, retrospective featurettes, and even learn "Madea's Tips for Attending a Funeral"! 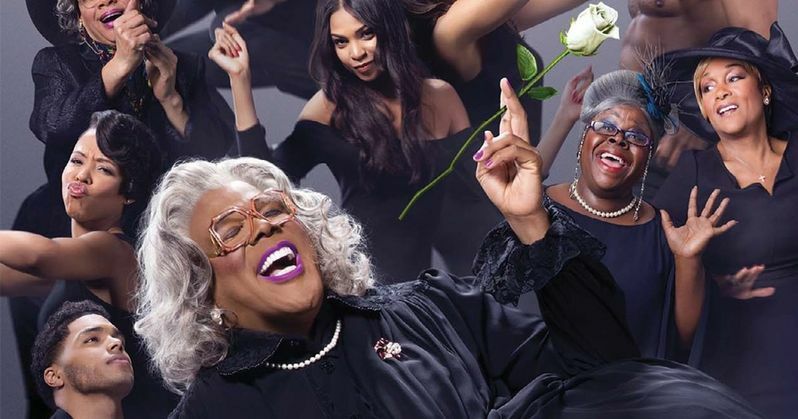 The Tyler Perry's A Madea Family Funeral Blu-ray Combo Packand DVD will be available for the suggested retail price of $39.99 and $29.95, respectively.